Christmas shoppers getting started early this year on mobile? When I read that off my Twitter feed, I did a double take. Wait, I haven’t even ordered my Halloween costume yet! Although, I have to admit, I have a Pinterest board going with my favorites and will probably order the winner with my phone. It’s no surprise that by the end of this year, mobile e-shopping will account for $163 billion in worldwide sales. As a smartphone user, I join 85% of mobile shoppers who would rather use a mobile app instead of a mobile website. The biggest surprise is that even though 33% of mobile sales are made by using a mobile app, only 10% of retailers offer an easy to use mobile application. 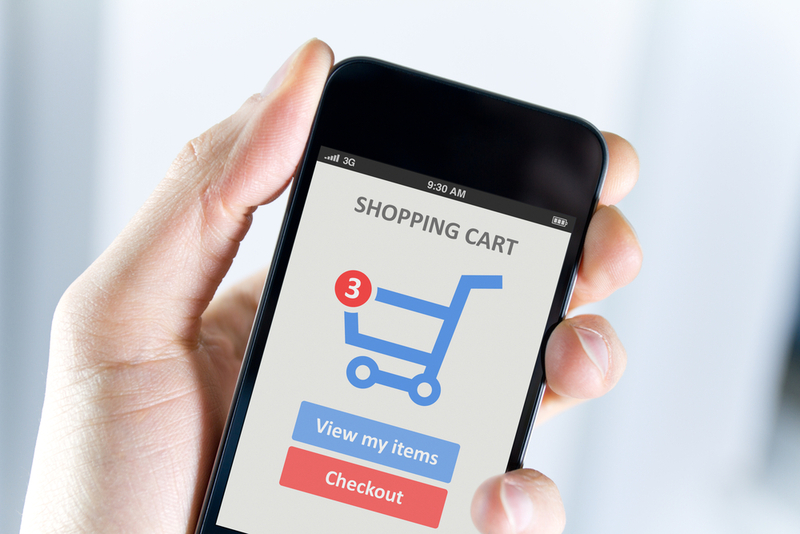 Creating a great mobile shopping experience for your buyers is critical for any ecommerce business. Over this year, we have helped clients understand some of the common concerns mobile customers have. I have listed a few here. A smartphone screen is tiny! Content and navigation must be easy to see, touch and understand. Customers want to buy something, so make sure they can do that as quickly as possible. An uncluttered mobile user interface with clear global navigation and search functionality gives customers the tools they need. Less is more here. Most mobile navigations need to be trimmed down and positioned consistently. Since users thumb through many pages and scroll up down more than on a desktop, they need to feel confident they can navigate easily to main categories and sections. Short and sweet menu titles work best. I’m on my phone, probably shopping during my lunch break. I need to buy that must have item in the 10 minutes I have left. What do I look for? A stand out ‘Add to Cart’ button. A check out process that allows new customers to register using their favored social network and to purchase as a guest. Stored user information for any future purchases. Auto-complete for that unavoidable repetitive data entry. Mobile app users, especially shoppers, demand that their mobile app screens load instantly. If they don’t, they navigate away. Highly optimized photos and text, quick wizards and some database tricks go a long way to ensure fast loading times for your ecommerce mobile application. The proper platform makes a big difference, especially if you have multiple product photos. Not quite, but it's a good start. Ecommerce customers definitely have less patience for disorganized, cluttered mobile applications, but once you have an app they like, they browse, favorite and buy more frequently. If you have a mobile application or ecommerce store that needs an upgrade before the holiday season, come and talk to us. As shop-a-holics, smartphone users and mobile developers we can help you alleviate some of your customer frustrations.